Our lifting points are sourced from Europe's top suppliers of lifting and lashing equipment. All of the products in this department are exhaustively tested and certified before dispatch, so you can rest assured that your load rings won't let you down. Every lifting point has its own specific thread diameter and lifting capacity. Before you finalise your SafetyLiftinGear order, it is crucial that you double-check the diameter and capacity of the load rings you are purchasing. Thread diameter refers to the size of the lifting point's 'eye'. If the ropes or chains that you use have a larger diameter than that of your load ring, you will not be able to attach properly, so make sure you get the diameter right! Lifting capacity is the maximum weight that our load rings can lift safely.  This capacity must not be exceeded under any circumstances; over-lifting may cause your lifting points to fail, with potentially disastrous consequences. Any questions? Feel free to give us a call on 0808 123 69 69 - we'll be more than happy to answer any enquiries.